202 pages | 26 B/W Illus. Written especially for professional artists and those studying the visual arts, Law for Artists is an accessible guide to those aspects of law that impact on artists and their work. It encompasses a comprehensive range of creative practices including fine art, photography, the graphic and plastic arts, animation, illustration, applied and media arts, as well as fashion, textile and product design. As one of the few academics working in this field Blu Tirohl clearly explains the legal principles - such as intellectual property, censorship, freedom of expression and criminal law - that are relevant to artists working in a range of disciplines. In order to illustrate these key concepts the book includes an engaging collection of examples of artists who have come into conflict with the law, demonstrating precisely the challenges faced by creative practitioners. The author also explores how the establishment co-opts transgressive artists; bringing about a range of contradictions that create legal inconsistencies. While the focus is primarily on UK law, the reader is also given ample information to understand how European law affects them. An entire chapter is also dedicated to the comparative study of US Law through well-known cases, ensuring students have a well-rounded knowledge of the concepts that they need to consider in a professional context. The book also provides additional resources including a list of useful websites, a glossary of key terms, as well as a list of statutes and cases. Law for Artists is an invaluable resource to professional practitioners and art graduates, as well as the academics who instruct them. This insightful publication, the first of its kind, helps introduce artists to the professional practice skills needed to ensure they are well-equipped to deal with working life. 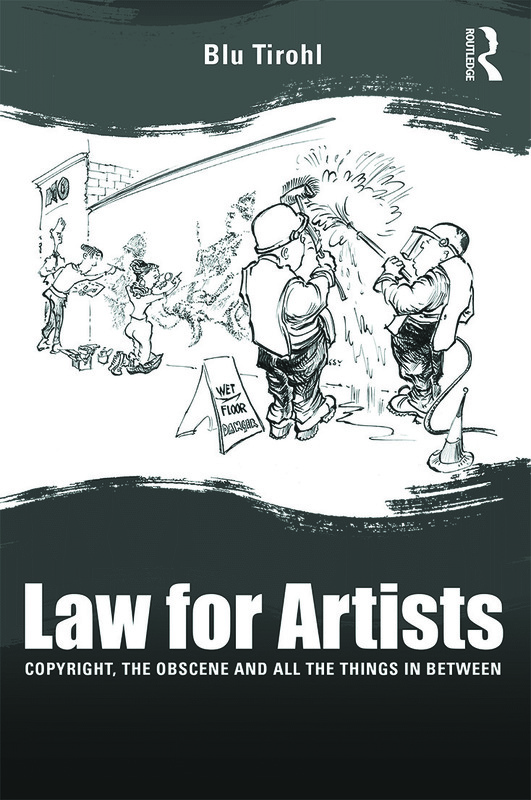 "Law for Artists is an important and long overdue book which both comprehensively gives detailed advise to artists about how to think about their work in relation to the law, and also offers a thorough sign-posted history of the relationship between art and law through the ages. Easy to read, with Blu Tirohl’s energetic writing and often witty case examples punctuated with Chris Stephens’ cartoons, Law for Artists is a unique book, and one which will become a staple go-to-guide on the subject." Blu Tirohl is the editor-in-chief of the Journal of Gender Studies, lecturing in law for artists, photography, art, gender studies and research methods. She is a panel member on employment tribunals (UK Ministry of Justice).